Low Sugar Eating and Detox-mas! As the year comes to an end, many of you are probably gearing up to make New Year’s resolutions and clean up the ol’ diet after a few months of too much sugar. Well, for the latter part, I am your go-to gal! I’ve been eating low sugar now for almost three years, since Sam was born. It’s one of the best things I’ve ever done for myself! With certain controversial foods, people can argue that there are benefits in contrast to the negatives. With sugar, however, there really are NO benefits. Speaking in the personal sense, so as to avoid citing ‘studies’ done by others, I’ll tell you that sugar is like poison to my body. A BIG note here, the above is NOT limited to processed, refined white sugar. It includes that which I ingest from honey, maple syrup, and dates! I can even get symptoms from eating a lot of fresh fruit. I know that point goes against a lot of what circulates regarding ‘eat as much fruit as you want’, but that’s my personal experience. In addition to myself, I’ve seen a lower sugar diet help my kids as well. The biggest changes being reduced hyperactivity and a better mood/personality/overall disposition. I tell you this to encourage those of you who may be fighting against the realization that you too need to ‘retrain your sweet tooth‘! As a former sugar junkie, I never thought I’d get to where I’m at now. I now can enjoy the flavor of the ingredients in treats, as opposed to just that ‘sweet’ taste. Foods like oats, coconut, vanilla, and cinnamon are all naturally sweet on their own, and they are imperative to sugar-free baking. Stevia can be a great option for some as well. I use this brand right now, which is one of the most unrefined versions I can find with NO added ingredients. 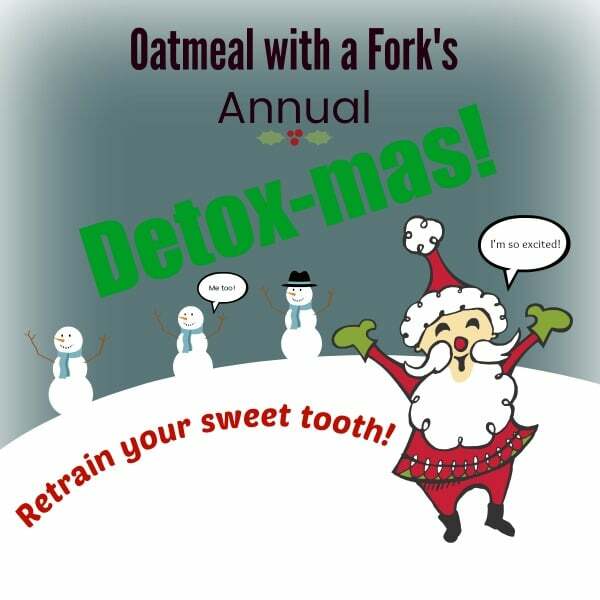 For January, I’m reviving my annual Detox-mas to encourage everyone to ‘retrain your sweet teeth‘! This year, Detox-mas is about bringing focus to a low sugar way of eating. Not just the refined kind, but ALL forms, including the the aforementioned. I’ll also be attempting to show you my low sugar way of eating through What I Ate Wednesday posts, which I’m hoping will give you some meal inspiration. A low-calorie, filling meal that pairs well with cheese crisps! Check out this tortilla recipe for the latter. 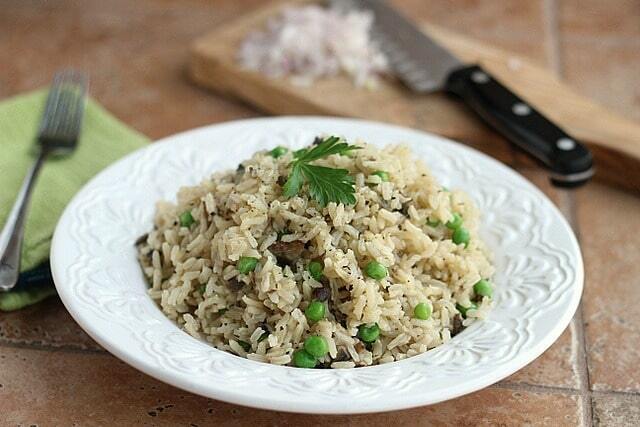 A light, meatless side that pairs well with chicken or eggs. 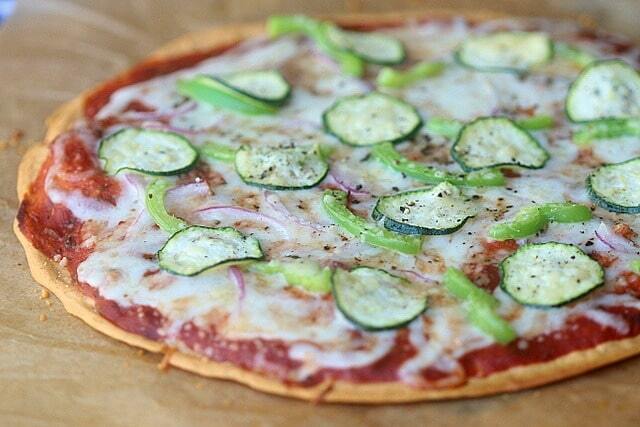 A flourless, high protein crust that is delicious with just about any topping you can imagine! This is my favorite pizza sauce recipe! 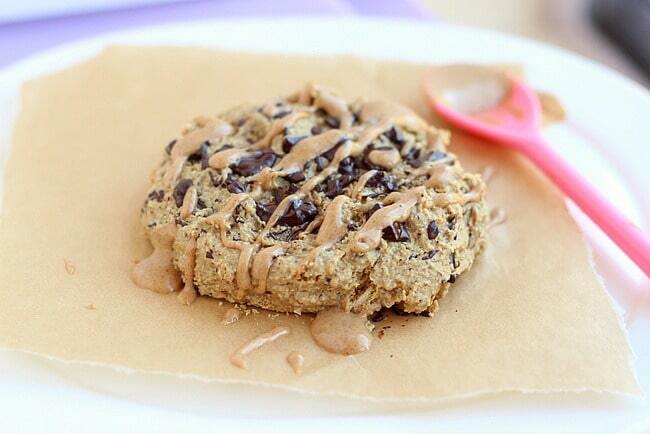 A low sugar treat made with oat and spelt flour. 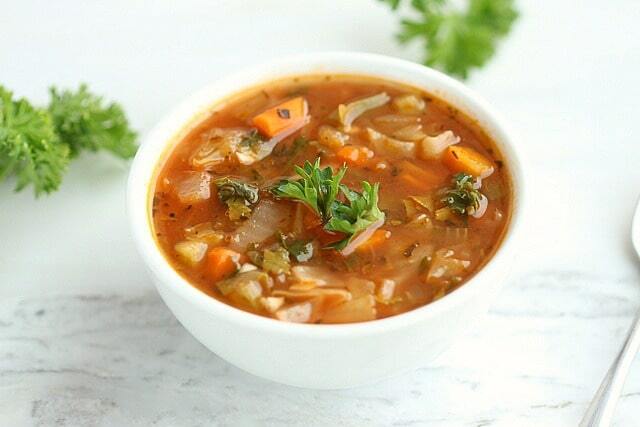 One of my favorites, I make this at least once a week! 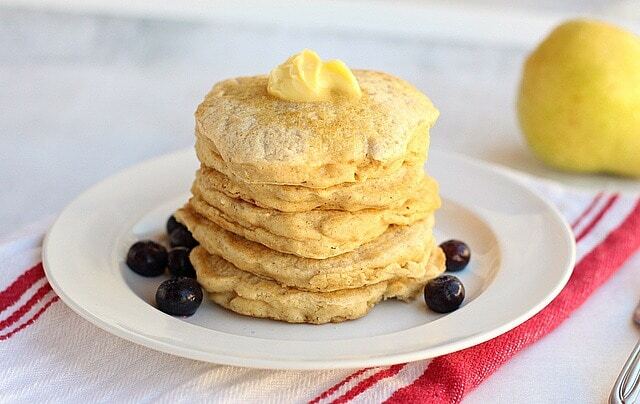 My favorite pancake recipe and NO added sugar or oil! 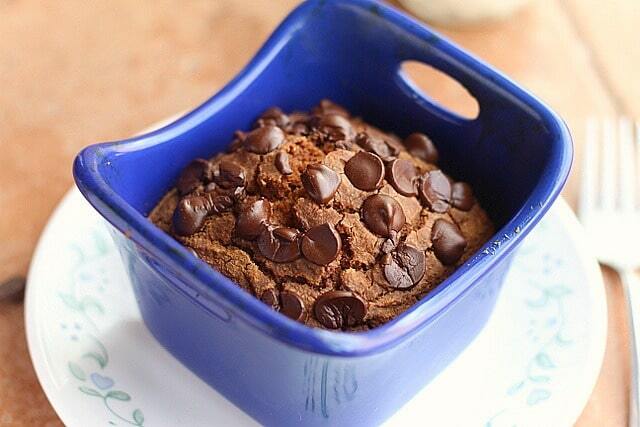 No oil or sugar used to make this scrumptious, guilt-free treat! Top it with 100% chocolate to keep it totally sugar-free or splurge a bit and chop up a Trader Joe’s 73% bar. My gym has a motto that ‘if it doesn’t challenge you, it doesn’t change you‘, which I really like. Though changing your taste isn’t easy, it is very rewarding! I hope you all follow along next month and find something delicious to help you feel your best. See you in 2018! I love your website. Please subscribe me.